Have a great day everyone. 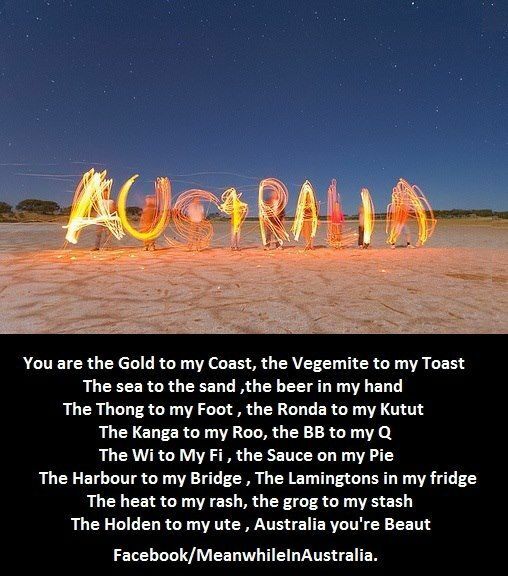 Enjoy and celebrate our beautiful country and the beautiful people with the most friendly, she’ll-be-right, mateship attitude. 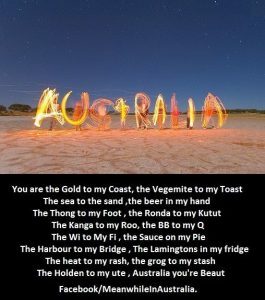 Love our country. Love our people.